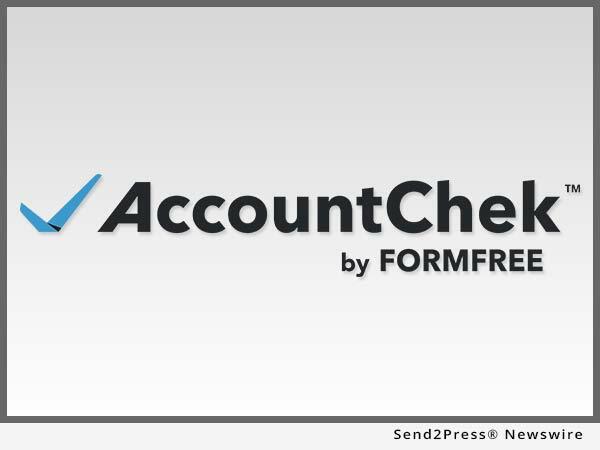 ATLANTA, Ga., Nov 29, 2016 (SEND2PRESS NEWSWIRE) — FormFree today announced that Rate Reset, the world leader in automated loan retention and acquisition software, has selected AccountChek(TM) by FormFree as its technology provider for automated asset verification. AccountChek helps financial institutions determine in just seconds the ability of customers to pay back loans, without the hassle of collecting bank statements or other asset documents. The Virginia-based company’s flagship product, Rate Reset, helps portfolio lenders retain more loans by letting borrowers easily reset their adjustable rate home, auto and personal loans online. Rate Reset also offers solutions to assist lenders with loan acquisition and generation. All of the company’s products are now integrated with AccountChek for fast, paperless verification of borrower ability to repay. AccountChek is an asset verification service that streamlines the loan underwriting process for both borrowers and lenders, resulting in quicker decisions and higher borrower satisfaction. The cloud-based app uses secure data untouched by human hands to consolidate, analyze and verify assets and deposits from virtually any financial institution, delivering peace of mind and greater purchase certainty for lenders. AccountChek also produces a more fraud-resistant loan process by using secure data sourced directly from the financial institution, eliminating the opportunity for tampering or errors. The third-largest credit union in the United States, PenFed has more than 1.4 million members and holds more than $20 billion in assets. FormFree and Rate Reset will demonstrate their latest product innovations at the inaugural Digital Mortgage conference in San Francisco December 8-9. To register or learn more, visit http://www.nationalmortgagenews.com/conferences/digitalmortgage/reginfo.html. Leading lenders trust Athens, Georgia-based FormFree to deliver automated verification solutions that streamline the loan origination process and provide better intelligence on borrowers’ ability to repay. FormFree’s flagship app, AccountChek(TM), eliminates the hassle of collecting paper statements from borrowers by using direct-access data untouched by human hands to consolidate, analyze and verify assets. Lender tested and GSE approved, AccountChek securely delivers automated asset verification data and on-demand reports to more than 200 leading U.S. lenders and their millions of customers. FormFree was named one of American Banker magazine’s “Top 10 Tech Companies to Watch” in 2015. Rate Reset offers award-winning products that put consumers in control of their loans while protecting the retention interests of lenders. With Rate Reset, customers can reset the terms of an existing home, auto or personal loan to better suite their budget in minutes. The company’s LoanGEN and Pre-Approval products make it simple and fast for financial institutions to originate or acquire auto, mortgage, personal and student loans as well as credit cards. For more information, visit http://www.RateReset.com. News Source: FormFree Holdings Corp.